$5699 trade + $499 installation & tax. Delivery over 30 miles beyond Finleyville, PA additional. 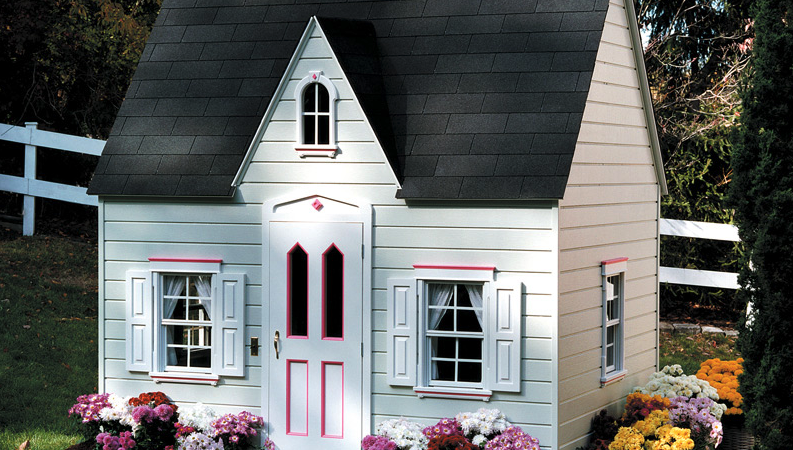 Our Princess Cottage is the cutest cottage-style playhouse in the kingdom! 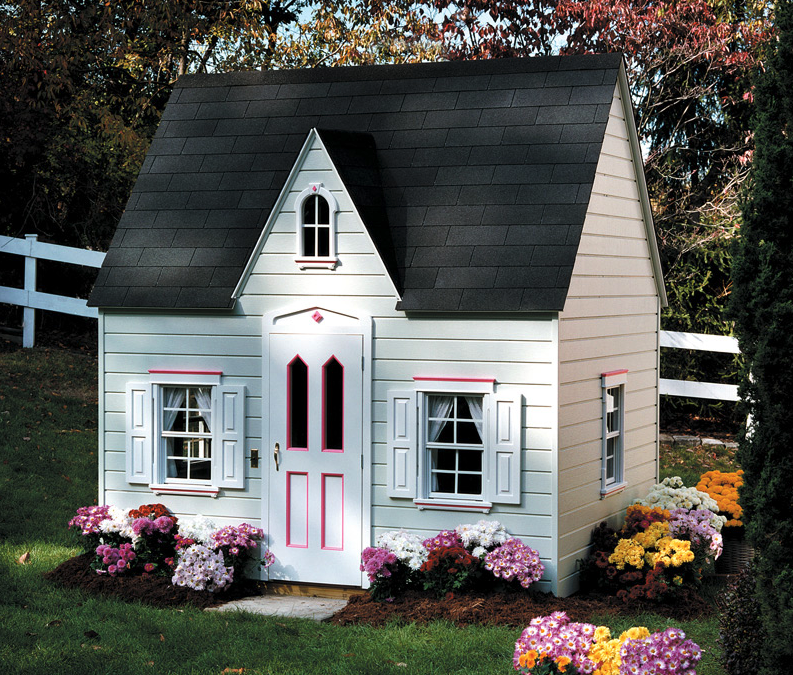 Shutters frame the windows, and pretty pink paint decorates the Victorian trim accenting the door and the arched window above it, making this magical playhouse just right for hours of imaginative fun. Gleaming brass hardware, a working doorbell, windows that open and close, and a dormer window brighten the exterior, while a sunny skylight and fanciful stenciling are sure to delight once inside. Princes and princesses alike will love climbing the ladder that leads to the cottage’s loft, while our simulated hardwood floors are sturdy enough to withstand scads of scampering feet.